The young adult genre is full of fast, easy reads. And that is fine with me. I like being entertained without having to think too much. Sometimes though, having to do a little work to read a book is worthwhile. Leah Cypess' novels are not easy. You aren't flipping through the pages in great suspense; instead, you carefully read each page, because the little things are important. You don't spend half the novel sighing over the handsome hero; instead you savor complex, not always likable characters. Add to that a completely foreign world, where the only features familiar to us are political intrigue and human frailties and you have a lot to learn in one novel. Leah Cypess is one of the new great high fantasy authors. She writes novels geared to teens, but mature enough to be enjoyed by adults. While high fantasy is still a relatively new genre for me, she is one of the best I've read at world-building. Nightspell is set in Ghostland, a kingdom where ghosts and the living reside together. Most of the novel takes place in a single castle and its surrounding grounds. With a limited setting, the reader becomes intimately familiar with the castle rather than be confused by an entire town's worth of houses, shops, etc. The castle feels medieval - I picture richly colored clothing and tapestries but a pervasive sense of darkness. It keeps the characters - and the reader - constantly on guard. The idea of the ghosts is also fully explored. We learn what the ghosts are, how they came to be, and the difficulties of living/dead interactions. The ghosts are delightfully spine-chilling. At various times in the book, I hated, feared, cared for, and pitied the ghostly characters. Ultimately, Nightspell is a character driven novel. It's slow and meandering. The plot flows smoothly, but takes its time to make sure the reader understands the good and bad of all the main characters. In addition to focusing on the individuals, Nightspell is a tale of family - of the bonds between siblings and how they can be broken and strengthened. The story alternates between the points of view of three siblings: Darri, Callie, and Varis. It takes a few chapters to get used to the switch, but I soon recognized each character's inner voice as soon as the viewpoint changed. Darri is a fierce, hardened fighter. She is determined to save her little sister from a life in Ghostland, even if it means sacrificing Darri's future. Varis is the oldest brother, groomed to rule their land. He knows the ins and outs of the local politics of his kingdom and appears to place that ahead of his sisters. Callie is no longer the scared little girl who came to Ghostland four years before. She appears as refined and haughty as the Ghostland natives. To Darri's surprise, Callie doesn't welcome her siblings with open arms and isn't looking to go home. Callie was my favorite character. I loved understanding the mixture of anger, love, and resentment she had for her siblings. I enjoyed seeing how she adapted to Ghostland life, knowing the intricacies of the culture but always being an outsider. Overall, I loved how the relationship between the siblings broke down and healed over the course of the book. While the characters are the most interesting part of Nightspell, there is a plot. Or more appropriately, plots, for there are multiple. Darri is trying to rescue Callie. Prince Kestin of Ghostland is trying to secure his place in the kingdom, which is not the sure thing it once was. The ghosts and the living are grasping over power. The stories are mysterious. It's not particularly suspenseful, but is consistently interesting. There was one specific point about halfway through where I gasped at the end of a chapter when the story took a turn that I never expected. My only disappointment with Nightspell was Clarisse. I loved her enigmatic personality in Mistwood, her intelligence, her mixed motives. I was thrilled to see her in Nightspell, but I didn't think she lived up to Mistwood. She isn't a one-dimensional character here, but she doesn't have the depth that she did in Mistwood. Perhaps it's because she's not as central a character. Nightspell is a wonderfully intelligent story. It's not the easiest book, but if you put a little into it, it will give ten times back. If you like character-driven novels, family relationships, fabulous world-building, and nearly romance-less book, you'll love Nightspell. Great review! 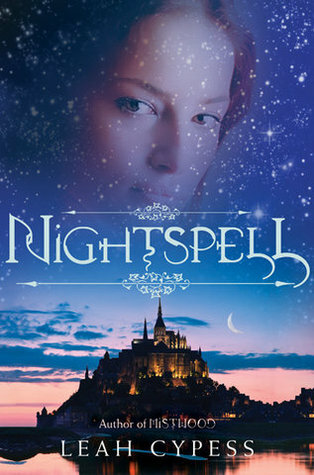 I read Mistwood not too long ago and I can't wait to jump back in with Nightspell. I haven't read Mistwood, but these books sounds like books I would enjoy. Great review! Excited for this review! I really need to dive into this book. glad you enjoyed it. Wow Alison, that was a heck of a review! I enjoy a fun easy read a lot of the times, but the really interesting complex ones are always the ones that stay with me the longest and go on my keeper shelf. I need to give this series a try! I just got Mistwood a couple weeks ago so I'm excited to read it. Awesome review, it makes me want to get to work on these right away! Excellent review. I love high fantasy as well, and I'm glad to hear that the world-building is so good. I could hardly stand Isabelle in Mistwood; I hope Darri's more likeable for me. I've got to read this! I'm usually not one of ghost stories, but I like what you mentioned about their development for this story. Excellent review, Alison. Had I not read your thought on this one, I probably would have not consider it for myself, but that pay off does sound worth it. Despite the slow and meandering plot, I really like the sound of this book. There aren't that many ghost stories in YA which always surprises me. I don't mind a romance-less book either. Those love triangles are really getting tiring. Had I not read your review for Mistwood and Nightspell, I would have overlooked them completely. Thanks for a great review! Oh good! It sounds like everything I loved about Mistwood is here in Nightspell. Except Clarisse's awesomeness, which is disappointing, but at least she's not a MC. Awesome review. I like the easy most of the time, but like you its nice to have complex characters and little clues. So could this one be read first? Or should I start with Mistwood? If it is character driven I'm in. I don't mind a meandering plot. That sounds fabulous. Is Mistwood as good?